These rock missionaries were Gilbor I. Camporazo, Jr., Marco T. Memes, and Archie Oroceo all belong to La Carlota First Branch and they had a great reunion upon the arrival of the former fresh from his mission field and paid a personal visit to our home and followed by Marco. 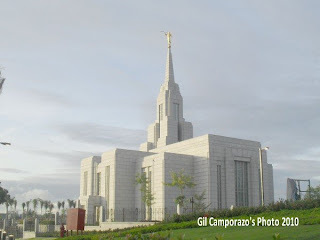 Marco and Archie were referrals of Gilbor, Jr. to The Church of Jesus Christ of Latter-day Saints. He even baptized and fellowshipped them and set as an example for them by going out in a mission first. And later the two followed suit. Marco was ahead with Archie who followed in an interval of one year. In a simple meeting at home, they renewed their camaraderie and exchanged pleasantries as a successful Church missionaries who went home with spiritual pride and dignity with more souls brought back to the fold of the Heavenly Father through baptism, confirmation and bestowal of the gift of the Holy Ghost. The latest among the three who just went home from a missionary work is Archie Oroceo. He just arrived this afternoon fresh from his area of mission in Angeles. While Marco Memes arrived earlier. 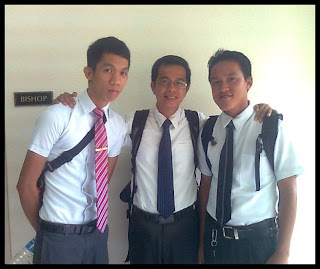 He completed his missionary work at Olongapo. He arrived home without seeing his mother who passed away while he was on the mission field. The first among the three to finish his missionary work too is Gilbor I Camporazo, Jr. After his mission, two years later he got married to the temple. And recently, he completed his computer programming NC IV course with flying colors being recognized the "Best in Programming," "Best in Web Design," and "Best in System Project". These three returned missionaries are the best assets to the Church particularly here in La Carlota first branch. Gilbor Junior is the District Clerk of La Carlota, while Marco Memes is the auxiliary president of the Young Men organization in the La Carlota first branch. While Archie Oroceo before he left to serve the mission, he was the branch missionary leader. His branch president will give him a better calling for him. These three would be a potential rock leaders of the Church. They have a strong testimony of the gospel. they have been trained as an effective missionary of the Church. And they have the will and power of the priesthood to edify members, to strengthen them, and to work with them an eye single to the glory of God. After fulfilling a mission, next mission is to get married to the temple. Gilbor, Jr. had already attained this. After 2 years of his mission, he got married to Cebu Philippine Temple sometime in November 2011 to Ma. Carissa Trenuela, an active member of La Castellana Branch, Negros Occidental, PH. Now Marco and Archie have to achieve this too. 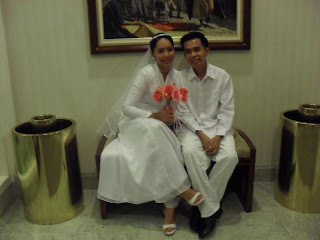 Marriage is ordained of God and it should not be delayed or postponed. I know they know pretty well this everlasting covenant of marriage. And for sure they're working for it since they're returned missionaries many young female single adults are just waiting for their proposal. More power and God bless to three of you! I have a friend who is like that also. they say if the woman is still pure they have to get marriage to the temple for holiness. And I was amazed for they really respect the temple.